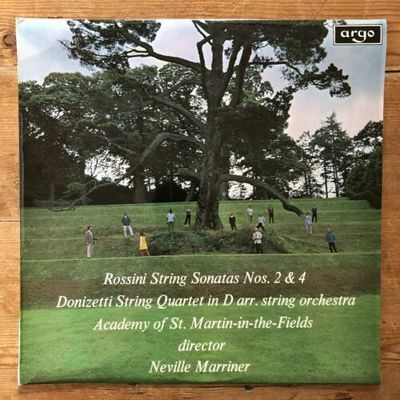 Up for sale is a rare copy of Neville Marriner directing the Academy Of St. Martin in the Fields Rossini String Sonatas Nos. 2 & 4 - Donizetti String Quartet In D Arr. String Orchestra from 1969 on the Argo label. This is a very nice copy. Records are play graded using the . All records are cleaned on an Okki Nokki for superior play back. Records are removed from the jacket for shipping. Records are shipped in . Please ask your questions before bidding on the item. Completed PayPal payment must be received within 3 business days of auctions end. Item will usually ship within 2 business days of a completed payment.